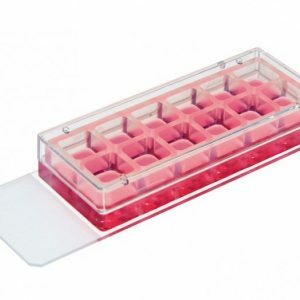 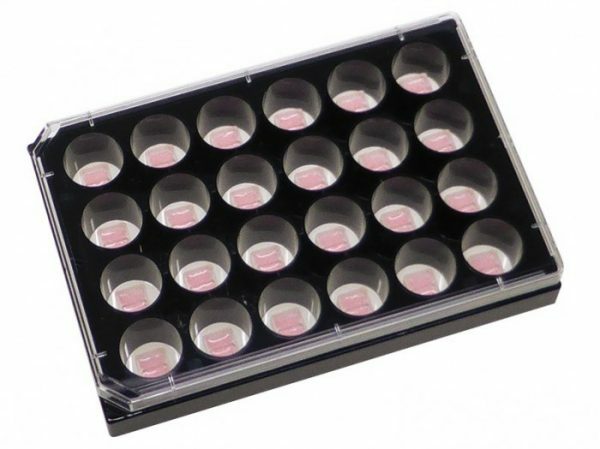 Wound healing and migration assays are done by seeding cells into the Culture-Insert 2 Well. 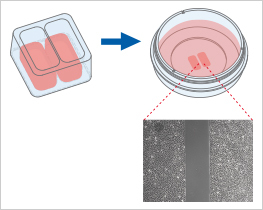 After cell attachment, a cell-free gap is created in which the cell migration can be visualized. 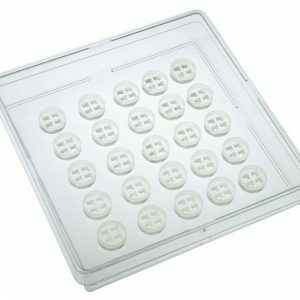 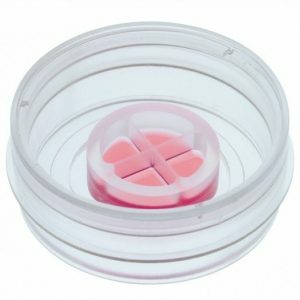 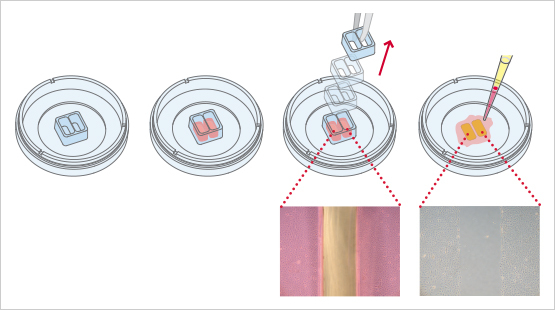 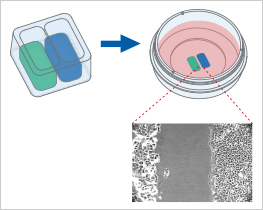 The Culture-Insert 2 Well can also be used for seeding two different cell types. After the removal of the insert, the cell fronts can be analyzed for their invasional behavior. 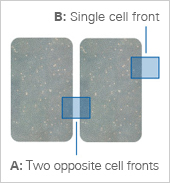 B: a single cell front that does not have an opposite cell front. 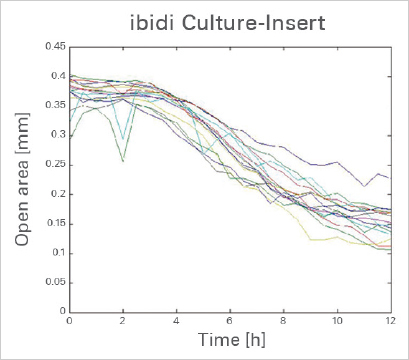 “The ibidi cell migration Culture-Inserts 2 Well enabled me to perform highly reproducible and quantitative migration experiments. 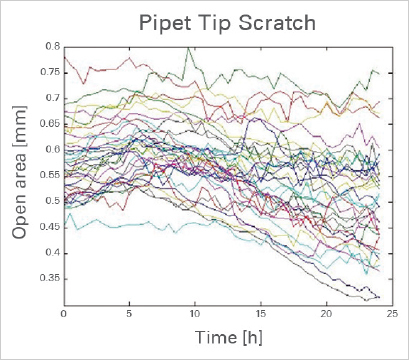 Since physical scratching isn’t required, uniformity is maintained and adverse wounding responses are not an issue.